A new month, a new issue of Perceptive Travel, home to the best travel stories from wandering book authors. As always, we try to dig a little deeper, travel a little wider, and write a little longer about in-depth traveler experiences. 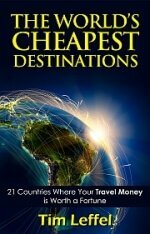 This month we travel to places that are far from the overtourism spots so inundated with visitors. We explore one town in Sicily, one spot on the island of Sulawesi, an adventure playground in Chihuahua, and a rural monastery in Thailand. Noted Italy expert and author Susan Van Allen indulges her sweet tooth on the island of Sicily, her final quest being a famous cassata baker who holds court in Noto. See Sicily, With Cherries on Top. Marco Ferrarese travels to the Rantepao, Tanah Toraja area of Sulawesi. With a few white lies a guide gets them into a big funeral celebration, but the gory mess leads to an early exit. 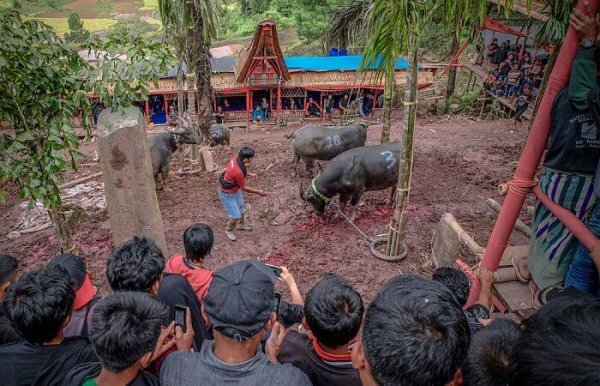 See Bring Your Daughter to the Torajan Slaughter in Indonesia. Luke Armstrong has been away for a while and he spent part of that time meditating with monks in Thailand, hoping to get rid of chronic neck pain while staying quiet and receiving morning alms from villagers. See Learning to Walk Fully in Thailand. In that title at the top, I left out the last story, which is mine. I capped off my year of adventure in 2017 with a visit to the Copper Canyons of Chihuahua, in Mexico. I thought I was ready for whatever some mad-made “adventure park” could throw at me—until I was hanging off a cliff and walking through thin air on a single strand of cable. 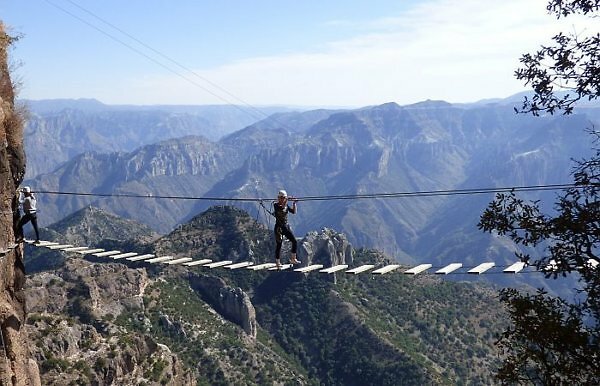 See An Overdose of Adrenaline in the Copper Canyons of Mexico. 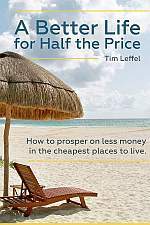 Then as always, we review three new and notable travel books. Susan Griffith checks out new books on lesser-known British isles, on traveling the Americas by bus, and a traveling American family that has trouble letting go of the comforts of home. We give away something cool for travelers each month and last month we doubled up. Readers Tabby S. of California and Susan A. of San Miguel de Allende were chosen at random and both scored a new set of wireless SBode Bluetooth earbuds that sound great and come with a carrying case. 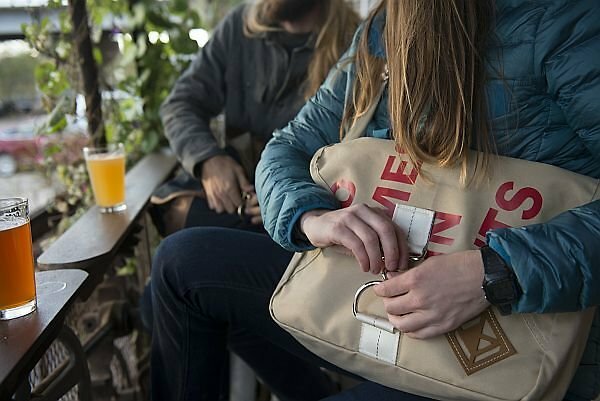 This month another lucky Perceptive Travel reader will get an Upcycled Messenger Bag from Diamond Brand Gear. If you don’t like the natural color, there’s a gray or black option too. How do you enter? Simple, just be a part of our monthly e-mail issue update community and watch for the entry instructions near the beginning of each month. If you’re too late for this month, in the meantime you can follow us on Facebook and pay close attention to our feed. The odds are so good that some readers have scored two times.